Where $$$ is usually some number less than $100 USD. Usually those threads bring a flood of responses that broadly fall into two categories. The first group insists that the person should spend many hundreds of dollars on a carbon fiber G---o with an equally expensive head and that they will never regret their once in a lifetime investment. The other extreme sing the praises of extreme off-brand units with names like "Well Good" bought for pennies on eBay or some Internet discount Web site. So the questions that come to my mind are: 1) what drives these requests? and 2) is there a magic tripod formula? Some people might also add durability/quality as a fourth consideration. The important thing to consider is that any attempt to reduce price will result in a decrease in stability and/or an increase in weight. Likewise, a decrease in weight will tend to increase price and/or decrease stability and so on. 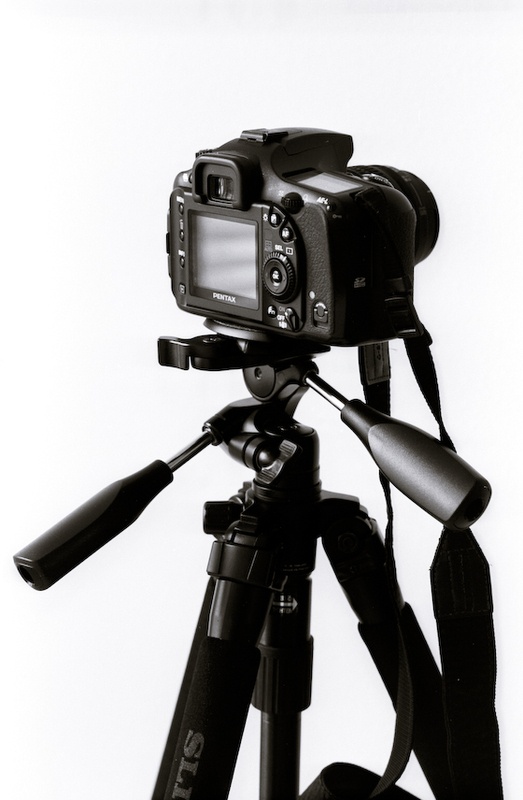 Is it possible to find a tripod that is portable and stable and moderately priced (say under $150 USD or maybe well under that amount)? My answer to that question is a definite...MAYBE, meaning YES, but with a few qualifications. Everything in life involves compromises, particularly when trying to do things on the cheap. So, let's quickly cut to the chase and look at a few options in the world of high value, low-end tripods. "Cheap and Light Will Work If You Limit The Load." In fact, that may well be the only maxim of tripod compromise. "Stated Capacities are Highly Overstated, Particularly On The Low End Price-wise"
"See It In Person Before You Buy"
This is a good idea in general when buying photo stuff, but doubly important with tripods. I know that this blog is supported by referrals to online retailers, but touch is real. Even with a good recommendation (like mine to follow), you run a risk of disappointment buying sight unseen. Yes, that is a full-sized APS-C dSLR mounted. 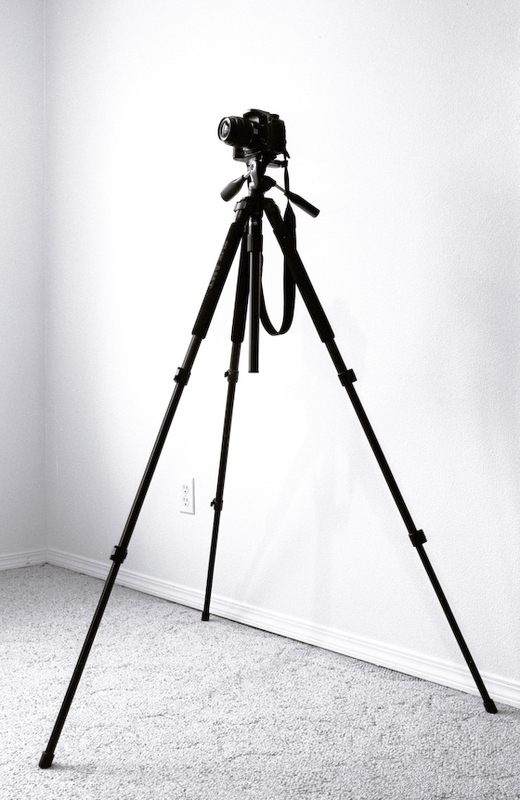 As you can see, this tripod is not particularly spindly. The stated capacity with head is 6.6 lbs and the legs are titanium alloy for relatively light weight (3.1 lbs with QR 3-way pan/tilt head). The Slik Pro 330 DX is a real value standout at this price point. Here is a close up of the head with camera mounted. Looks pretty nice, eh? Well, it is a pretty nice head, but it has a couple of weak points. The first is that the lever that holds the QR plate onto the head is positioned such that it bumps one's chin. You can see it jutting out to the rear in the photo. The other weak point is that the head is not particularly compact nor is it very light for its stated 6.6 lb capacity. What about the legs? The flip lever tighteners work well and allow for very fast setup. In case you are wondering, this type of lightweight lever is a potential point of failure in the long run. One of those compromises, I guess. 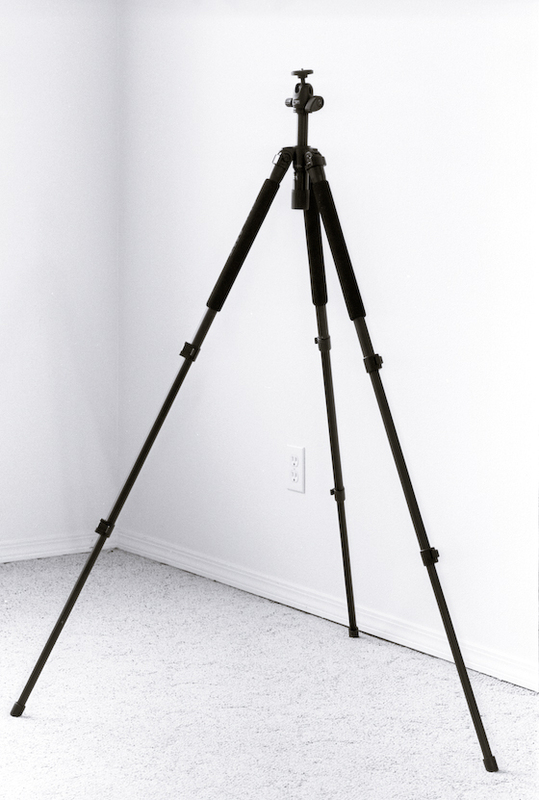 Once extended, the tripod is admirably rigid and resistant to torsion and bowing. The center column extends quite a bit higher, but things are not quite so stable at full extension (another compromise, though a small one). The bottom 2/3rd of the center column are easily removable to provide a much shorter column appropriate for low level work. Yes, you also get three-position angle adjust and the ability to invert the column to get way low to the ground. Any low points with the legs? Yes, a few. The center column is secured using a twist collar below the leg spider AND a second stop knob on the side of the spider. Both must be tightened to keep the column from moving or rotating. It gets old fast. There also is no provision for spiked feet on this model. This is not a deal killer, but it still would be nice to have as an add-on option. And lastly, I would be remiss if I did not mention that like all rigid, lightweight alloy legs, the 330 DX is prone to vibration. Now is this the end of the story? No way! It was my desire to truly have my cake and eat it too. I wanted to get the total weight with head down to about 2.5 lbs and have a more compact solution than the 3-way head provides. I also wanted a capacity closer to 8 lbs. Did I attain my goal? As a sneak preview to my next post, here is the 330 DX stripped down for field use! Looks like maybe a Manfrotto 484 non-QR mini ball head with the center post cut down? Do you have any opinions on 3- vs. 4-telescoping-section legs? Good eye regarding the 484 head! I am still having to write part two of the tripod story. Perhaps tomorrow night. 4-section legs are more compact, but there is a weight penalty and they tend to be less stable when fully extended. They are usually a bit more money as well. The 330 DX is fairly compact for having 3-section legs, so it works well for me. YMMV, however. I wish you all the best with this -- my Slik broke after quite limited light use. A leg simply fell apart -- they are made of cheap plastic inside. Now I am distinctly of the "pay (quite) a lot once" camp. Maybe not two grand, maybe not one grand, but certainly more than a couple hundred clams.